Former infielder Jimmy Rollins was the anchor of the Philadelphia Phillies defense and was a key contributor in the Phillies back-to-back World Series appearances in 2008 and 2009. The 2007 National League MVP helped lead the Phillies to franchise’s second World Series title in 2008 and played 15 of his 17 seasons with Philadelphia. Rollins used this Warsitc WSR11 model bat during his career. 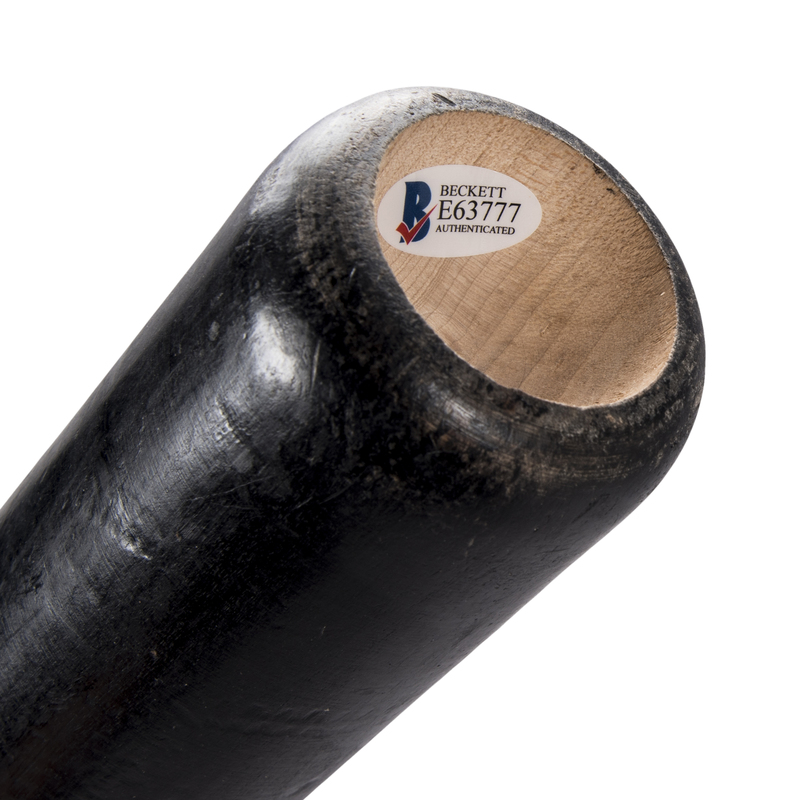 This all-black bat displays outstanding use and is un-cracked. There are ball marks, stitch marks and cleat imprints present on the barrel. 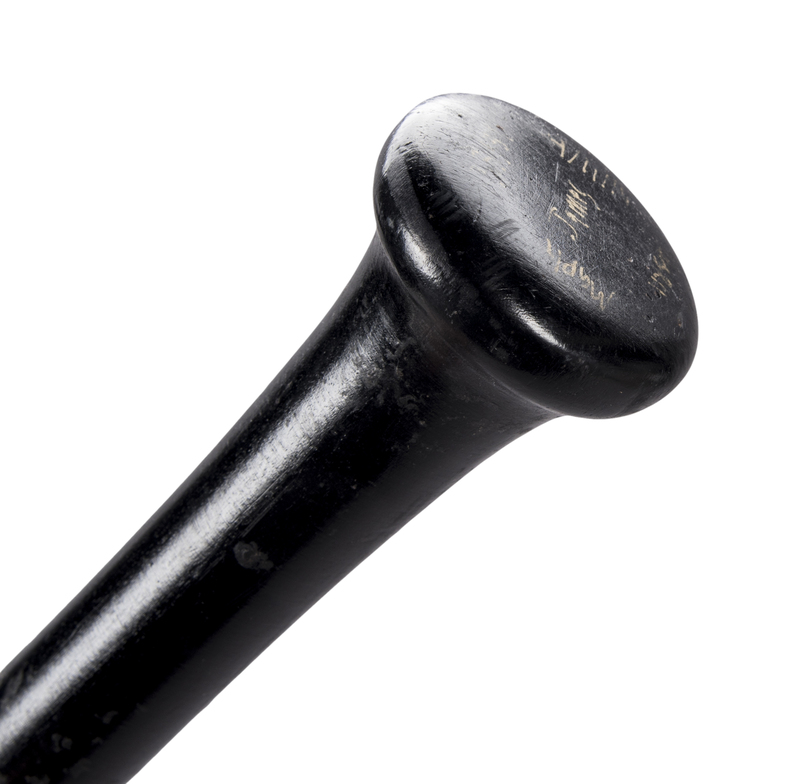 There is a light coating of pine tar on the handle and there is a mark on the handle that identifies the grain, which has been mandatory per Major League Baseball for all maple bats since 2009. 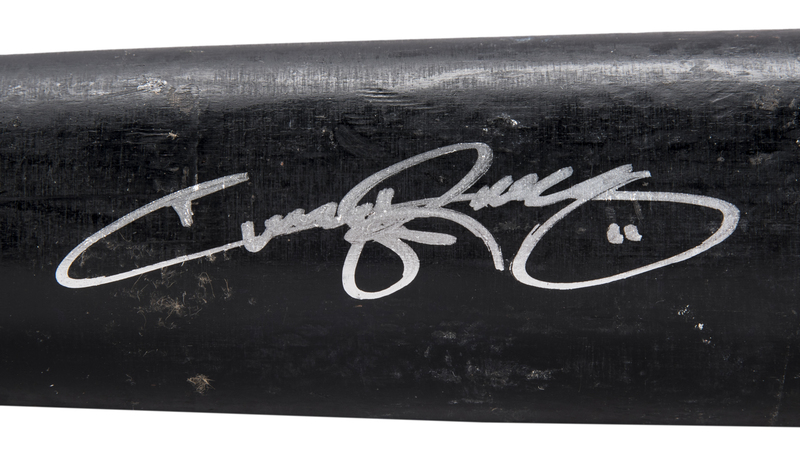 Rollins has signed his name in contrasting silver marker on the barrel and inscribed “11”. 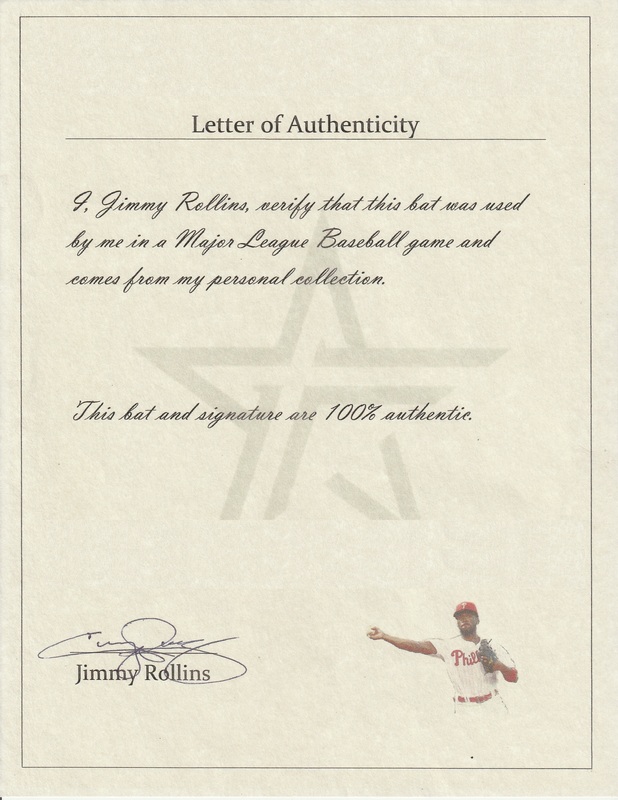 This bat comes with a LOA from Jimmy Rollins authenticating that he used this bat during a MLB game and a COA from Beckett Authentication Services (E63777) for his signature.